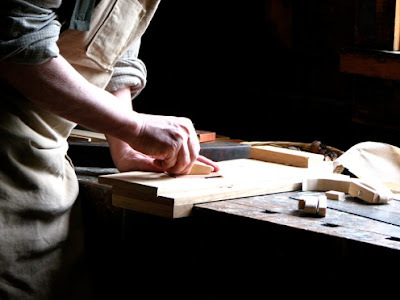 Brethren, we have no right to thrust a brother into the ministry until he has first given evidence of his own conversion, and has also given proof not only of being a good average worker but something more. If he cannot labor in the church before he pretends to be a minister, he is good for nothing. If he cannot whilst he is a private member of the church perform all the duties of that position with zeal and energy, and if he is not evidently a consecrated man whilst he is a private Christian, certainly you do not feel the guidance of God’s Holy Spirit to bid him enter the ministry. No man has a right to aspire to come into that office until, like the knights of old, he has first won his spurs, and has shown that he is really devoted to Christ by having served him as others have done. Let me say that it would be a very great mercy for this Christian church if some persons would not take this last place at all, but would be content to stop in the second one. There are many men who when set apart to the Christian ministry are a drag and burden to the churches as well as to other people, who if they had but given up themselves as ordinary members to Christian service might have been a very great blessing and honor to the church. One of the kindest pieces of advice I could give to some of our ministerial friends would be, “Go home, brother; take off your black coat and your white tie, and put yourself into some honest way of getting a living; just think whether you were not more serviceable to the church when you were a carpenter or a tradesman, and when you were earning a considerable sum of money at your own ordinary avocation, than you are now, when you are necessarily dependent upon the gifts and liberality of God’s servants without having the ability and the talent which are necessary to make you a leader in the Lord’s host.” I pray the day may come when we shall all see this, and never think of giving ourselves to the ministry before conversion, and even then aspire not after special work until first of all we have proved that we can serve the Lord in our ordinary life. From a sermon entitled "Peter's Three Calls."